Avoiding the heat was the name of the game this week. Given the week’s weather forecast, it was clear that Tuesday was going to be the best day for a long walk, so I spent Monday doing research and planning out my route. 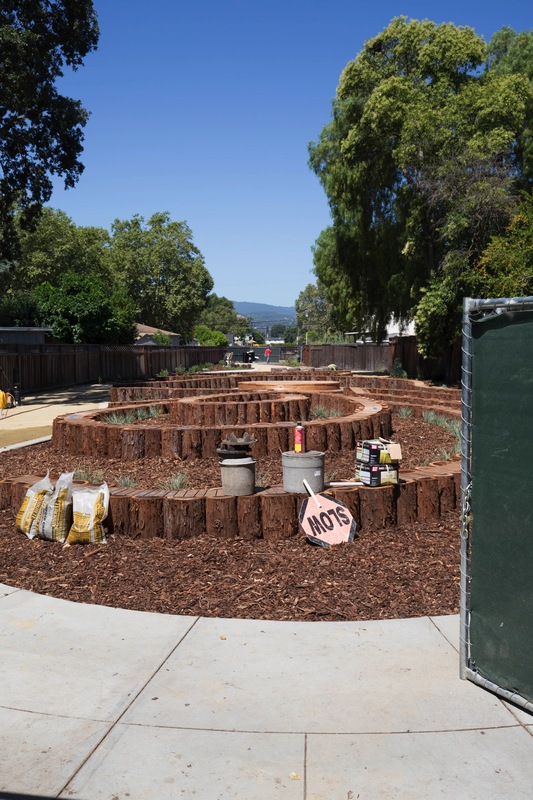 Tuesday’s walk took me over to Woodside Road, down towards Atherton, and finally over to where the Stanford in Redwood City project is now well underway. I won’t be covering all of what I observed in this week’s post—I’ll save some for the future—but two things I saw seem worth writing about since one had an aspect that was new to me and the other had been completely off my radar. On my walk I also passed by a building that I knew had an interesting and relatively unknown past so I’ll cover it, too, this week. As I was taking my pictures I remembered reading about the park’s origins in an old booklet titled “The Story of Redwood City’s Parks 1937-1987,” which was produced to commemorate the fiftieth anniversary of Redwood City’s Park’s, Recreation, and Community Services department. Recalling that the tale was an interesting one, when I got home I sat down and reread the story of Palm Park’s origins. Given that there is a large palm tree standing near the entrance to the park, and that the park lies a half block from the northeast end of Palm Avenue, I’m guessing that almost no one thinks twice about the origins and the naming of this park. But they are worth thinking about: the tale is an interesting one. The following year Margaret Sasfy Jones, a member of the Emerald Lake Garden Club, took a 3-year-old Canary Island date palm that she had raised from a seedling and planted it in the homemade park. Now the story jumps ahead ten years. In 1970 residents of the nearby Palm/Regent neighborhood petitioned the city for a park. A site was chosen, plans were drawn up, and the park was built—although it took some nine years to complete: the park didn’t open until 1979. That park was given the name “Palm Park,” presumably because of its proximity to Palm Avenue. 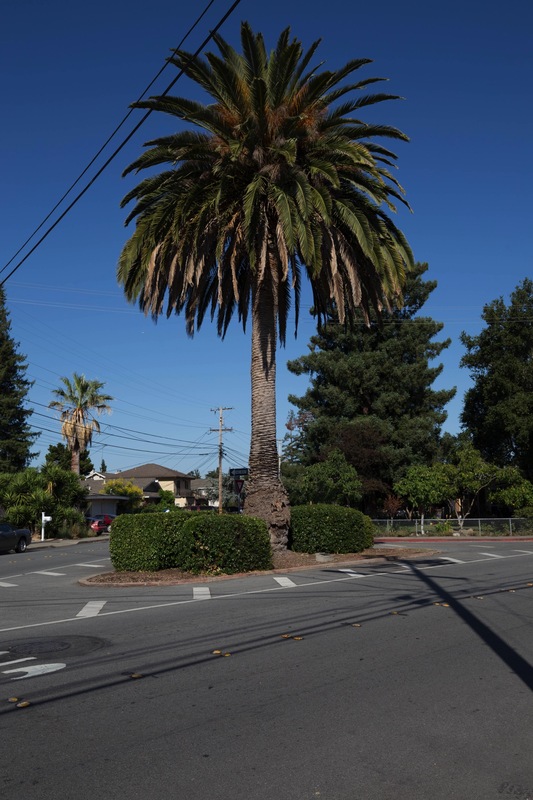 So Redwood City’s lovely Palm Park began back in 1958 when two boys planted a tree and erected a homemade sign on a tiny plot of land in the middle of an intersection some four blocks from the current park. Who knew? There are no signs on the building, but a little online research revealed that it is currently the headquarters of MedExpert International, Inc, a company that provides technological solutions to aid in making medical decisions. However, this building is interesting to me not because of what is there today, but because of what was there some twenty years ago. Anyone who spends any time on Highway 101 likely has at least a passing familiarity with the Hiller Aviation Museum, which is located on the Bay side of Highway 101 in San Carlos. This museum was the brainchild of Stanley Hiller, Jr., who really should be ranked among the pantheon of Bay Area technology giants. At the age of sixteen Hiller entered UC Berkeley but dropped out after his freshman year to pursue his passion: helicopters. In 1942, when Hiller was just eighteen, he formed Hiller Aircraft and proceeded to design the first helicopter to successfully fly in the Western United States. Four months shy of his twentieth birthday Hiller completed the first free flight of his XH-44 Hiller-copter—in UC Berkeley’s Memorial Stadium. The company went on to build a large manufacturing facility on Willow Road in East Palo Alto, right across Highway 84 from today’s Facebook headquarters. Stanley Hiller eventually sold his company to Fairchild and went on to have a long and storied career as a “turnaround artist” for a handful of well-known companies, including Bekins Moving and Storage and Key Tronic Corporation. But getting back to the museum, it began from a collection of eclectic aircraft that Hiller had previously assembled. And as you have probably guessed, before building today’s museum Stanley Hiller, Jr. kept his collection in the above pictured building at 1300 Hancock Street in Redwood City. Because I have a particular passion for aviation, back in the 1990s I discovered the location of this particular collection and dragged my wife over to see it. I can still recall being amazed at how many aircraft were crammed into the relatively small space. And I even recall being shown the preliminary designs for today’s aviation museum. Although Hiller—who was born in San Francisco, raised in Berkeley, and wound up living in Atherton—may not have lived in Redwood City, the fact that his collection resided in this building from the 1970’s until the San Carlos museum opened in 1998 substantiates a solid connection between him and the city. 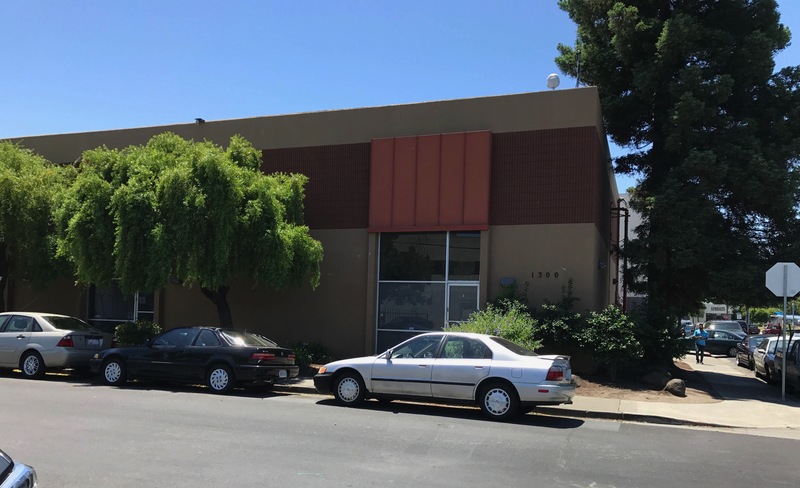 And as for the fact that there was a large aircraft collection once hidden in this otherwise unremarkable Redwood City building, well, who knew? I stumbled across it when I was heading over to photograph the Stanford in Redwood City project. 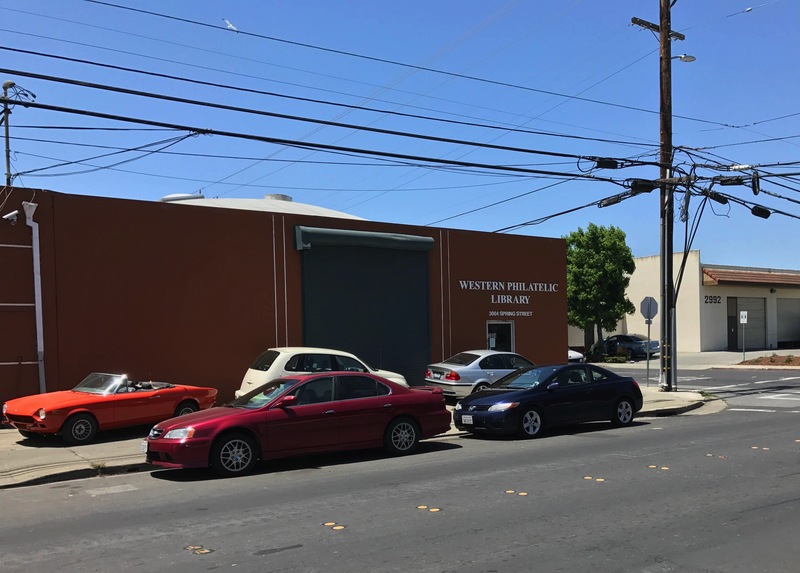 Although I haven’t yet been inside, the Western Philatelic Library has apparently been in Redwood City since 2013 and is the largest collection of printed, electronic, and other media related to the subject of stamp collecting in the Western United States. Entirely volunteer run, the 5,000 square foot building seems to be crammed full of books, auction catalogs, philatelic journals, and the like. Just as the Hiller Aviation Museum appeals only to a specific segment of the population, so too does the Western Philatelic Library—but to them the appeal is likely to be strong indeed. Having the largest collection in the Western United States tucked into this very ordinary looking building in Redwood City…who knew? After nearly four years of walking through and writing about Redwood City, I just love how I continue to find little aspects of the city that surprise even me, and look forward to what I might find next. A little park with surprising origins, and two rather unremarkable buildings full of amazing things, all within an easy walk of one another: who knew? 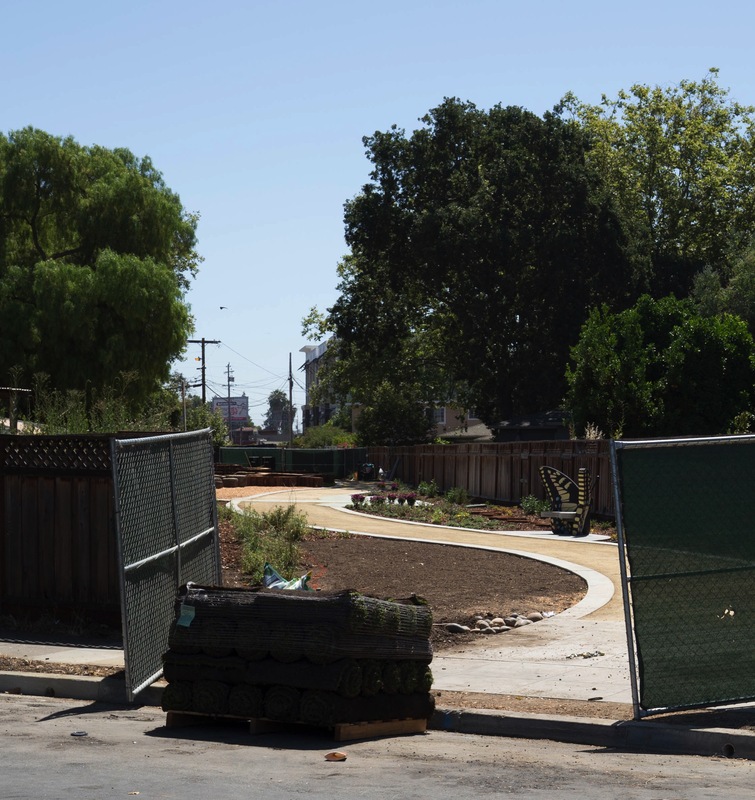 Because it is a particular interest of mine, I’ve been keeping fairly close tabs on the rebuild of Linden Park (which is a long, narrow park located in the residential area behind University Art, on a section of the Hetch Hetchy right-of-way). I was delighted to see that the park is pretty much done. The city had hoped to get Linden Park open in June of this year, and indeed they are on schedule to do just that: they just announced that they will be having a “Grand Re-Opening Celebration” for the park on June 29 at 6 p.m. The park is narrow and long, but as you can see there is a neat path snaking its way from one end of the park to the other. Not shown in the top picture, because it was behind me, is a fence and gate that should prevent children from running out into the street. I’m guessing that there will be similar arrangement at the other end, that perhaps will be installed once the sod (which is that large square bundle in the foreground of the picture immediately above) is installed. But other than the sod, which as I write this has probably already been laid, and the fencing, the park looked to be pretty much done. Note the butterfly-inspired bench in the second park photo; it sits amid a number of beds that are filled with plants that attract butterflies. Linden Park, as you can probably tell, isn’t your typical neighborhood park. 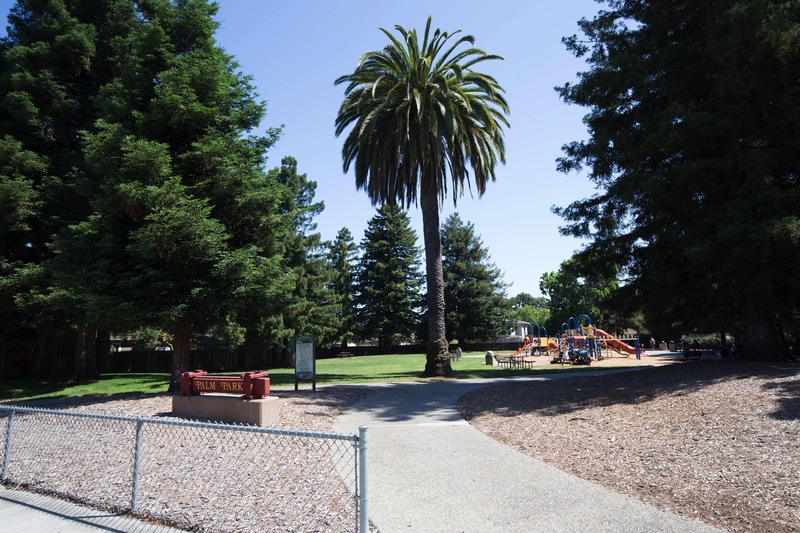 Due to restrictions put on the site by the San Francisco Public Utilities Commission (SFPUC), large play structures of the type you see in most of the larger Redwood City parks cannot be installed here. The park is slated to have some small play equipment, but the park is really intended to be more a place where kids can roam and let their imaginations run free. And it should be particularly attractive to the adults in the neighborhood, who will hopefully find it to be a great place to relax and perhaps read a book. Personally, I look forward to taking a relaxing break here next time I’m walking in the neighborhood. It would be terrific to see public spaces like Linden Park along the rest of the Hetch Hetchy right of way. Do you have any history to share on the origin of Laurie Duncan Parkway, at the intersection of Nevada and Brewster? Thanks for this post and your blog. Always interesting. Great minds think alike: I was over by Laurie Duncan Parkway just the other day and for the first time I was struck by the word “parkway”; why isn’t it just “park”? And who was Laurie Duncan? I’ll do some checking and let you know. Thanks for asking. Oh, and I was Linden Park’s grand opening last night and was talking with some of our Parks and Rec folks about why some parts of the Hetch Hetchy right of way are open to the public and other parts are off limits. They didn’t have any good answers, but I’ve put that on my list of things to research and write about, too. Fascinating hidden history on Redwood City – thank you for the research. The long-ago origins of Palm Park make for a wonderful story, and “who knew” there was a library anywhere on stamp-collecting (let alone in your back yard)? There is clearly more to RC than meets the eye! Great post.